This exquisite Capri bedroom perfectly balances contemporary glamour with traditional architecture. The striking wood grain of our Driftwood finish adds a natural charm that perfectly complements the sleek and lustrous high Gloss Cashmere finish. 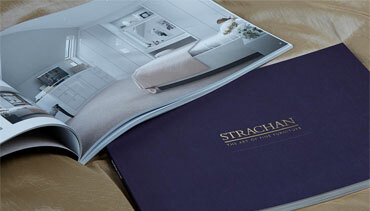 Your made to measure Strachan bedroom can be fully customised to meet your needs and suit your tastes. 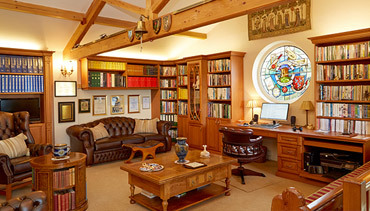 Our wardrobe design options are considerable and allow us to create truly bespoke furniture solutions. 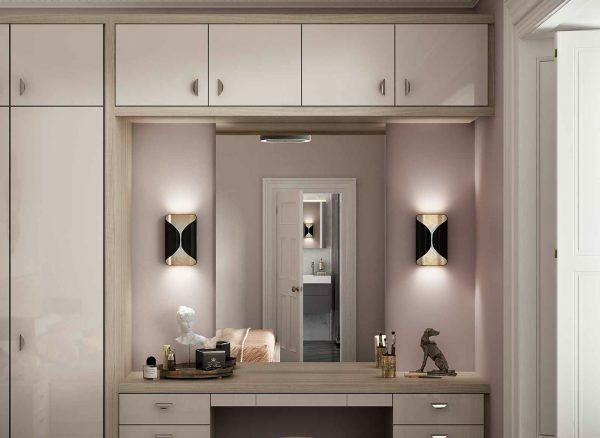 Additional features such as full-length mirrors or over cupboard storage can be added to enhance the form and practicality of the design. 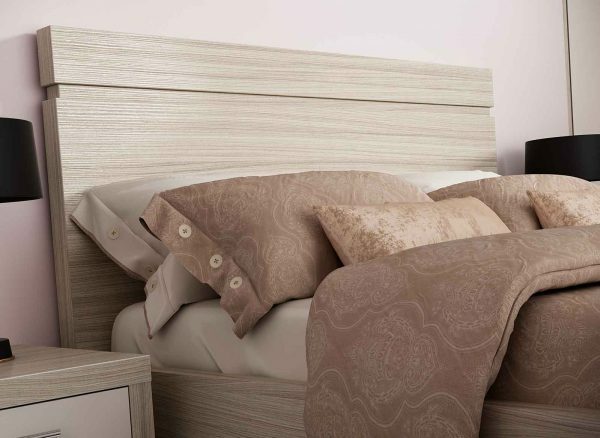 Add a modern flare to your bedroom with the addition of this slab style headboard. Crafted from the characterful wood grain of Driftwood, it features a subtle recessed channel which adds visual interest and highlights the unrivalled attention to detail of our expert craftsmen. This bedroom features a uniquely shaped corner wardrobe with the door positioned at a 45° angle to the adjacent walls, so when you open the door you are facing directly in to the corner. 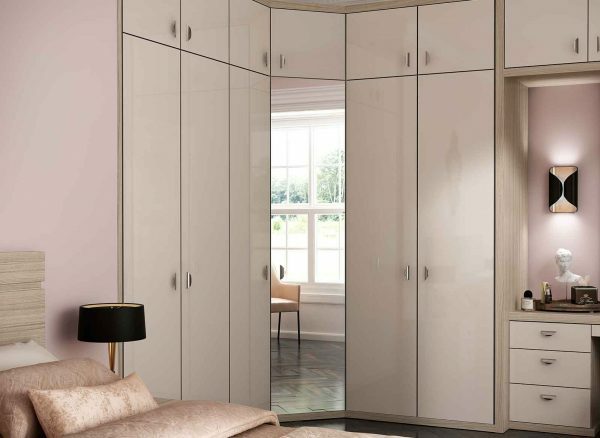 Inside, the wardrobe hanging rail is curved for ease of use and to maximise storage. The mirrored door brings added convenience to this bespoke design. 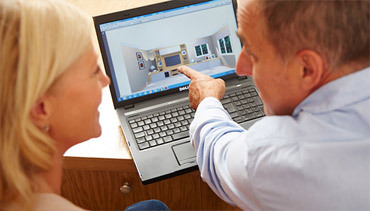 Enjoy high level storage with beautiful over cupboards. Seamlessly tying in with the rest of your Strachan bedroom, these are ideal for stowing away your suitcases or out of season clothing collections, allowing you to dedicate your entire wardrobe to your everyday outfits and accessories.